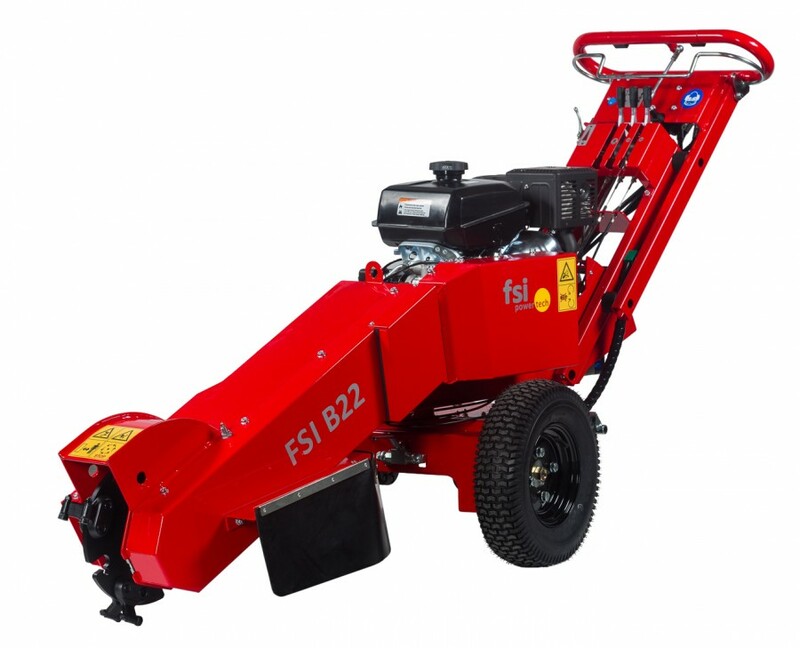 Self-propelled means the user can move the machine with ease, both moving to and from the stump that is to be ground down and especially when moving the machine onto a trailer or lorry after use. 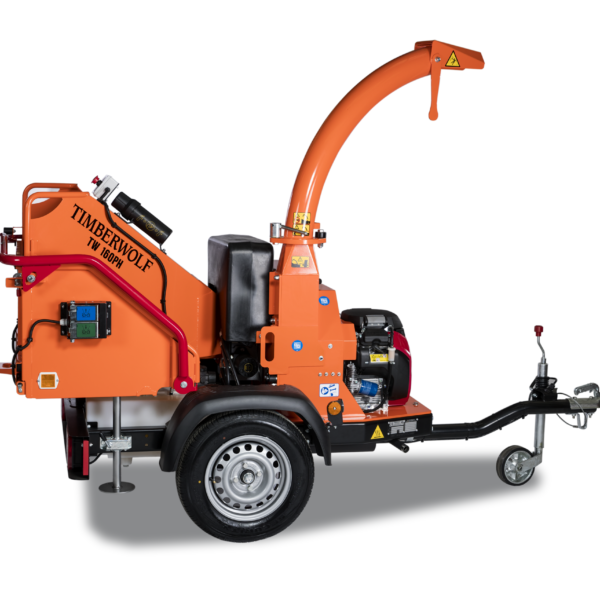 The hydraulically driven wheels provide a top speed of 3 km/h. 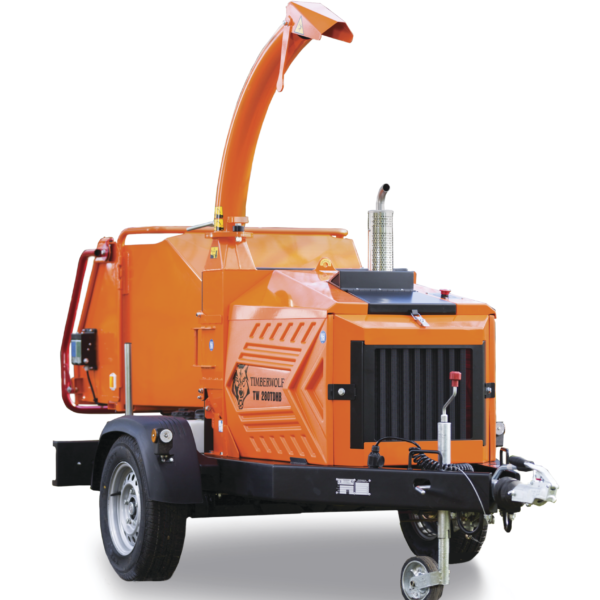 In contrast to the B20, the machine is equipped with a complete hydraulic system with tank, pump and engine. 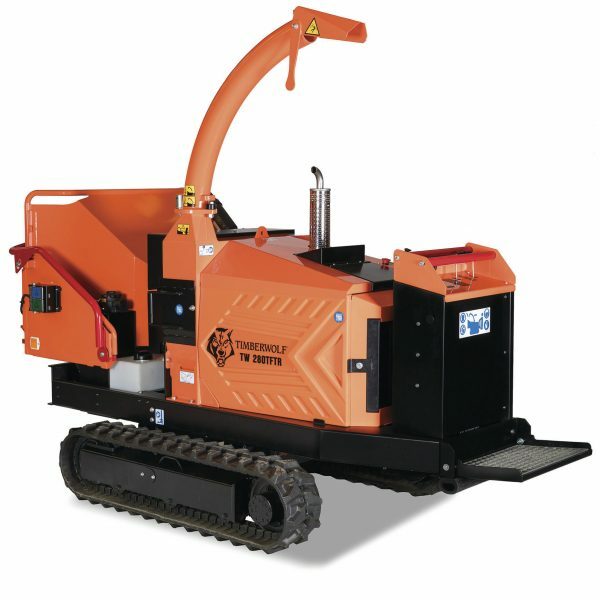 The actual stump grinding is executed by making small manual sideways movements of the stump grinder into the stump. 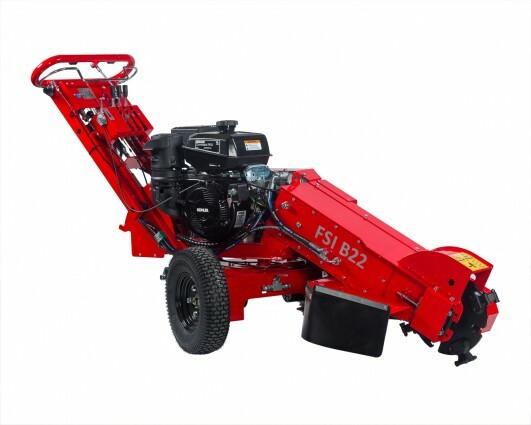 It is extremely easy to move the machine sideways, since only the grinding section moves and not the wheels. All sideways and up/down movements are executed manually with both hands on the handlebar. 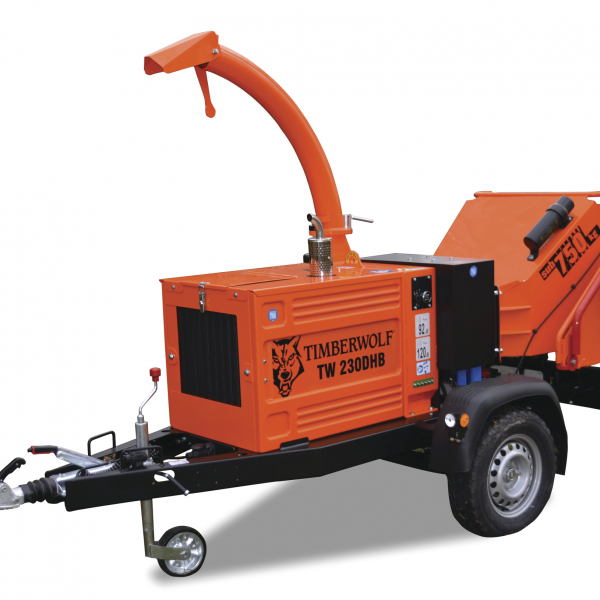 A centrifugal clutch transfers energy from the V-belt drive to the cutting disc. 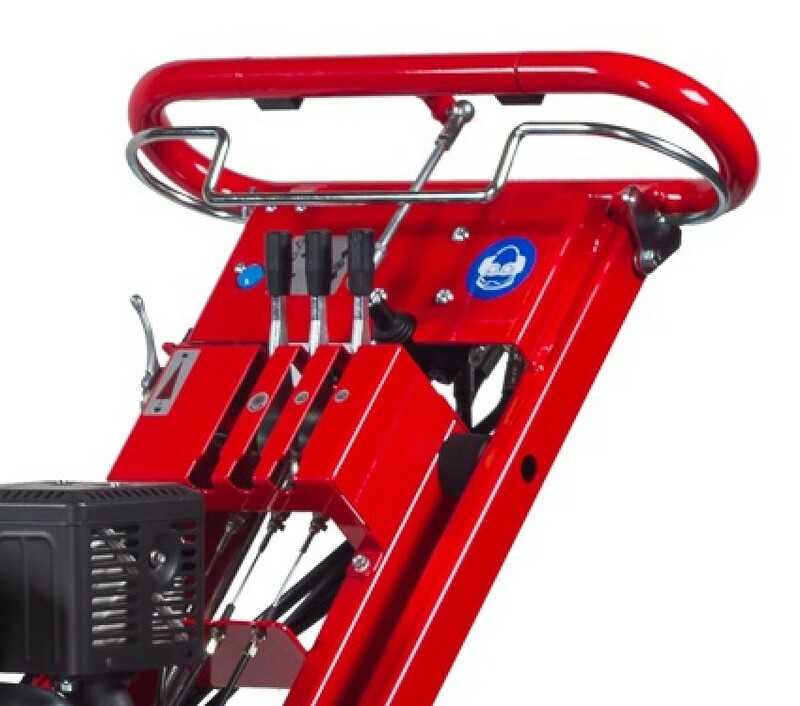 Using the handlebar, the operator can move the machine, grind down stumps and operate the brakes and pivot joint lock. 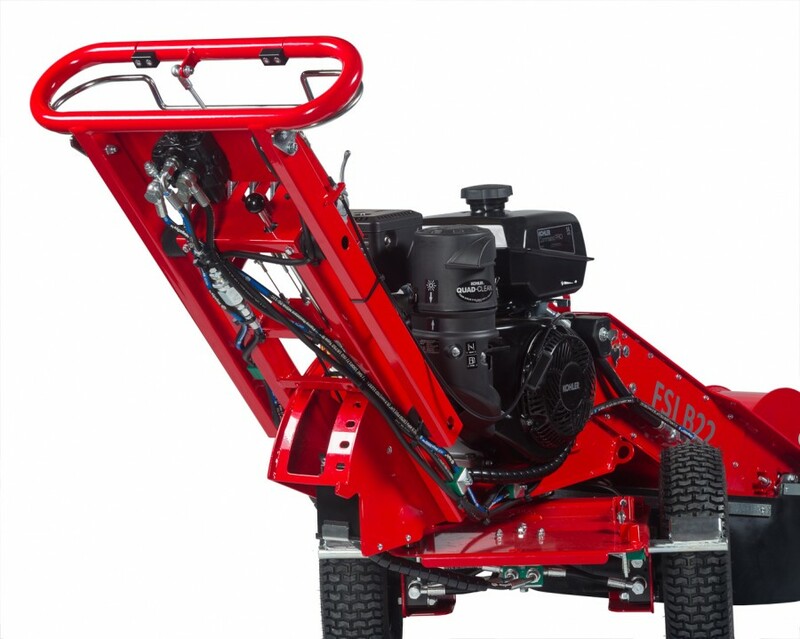 A safety bar ensures that the operator is safe, since it must be activated when operating the machine and when grinding down a stump.